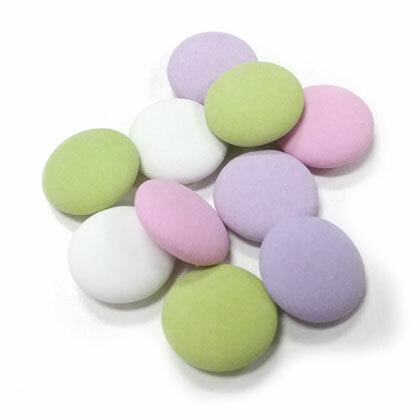 Mint flavored chocolate surrounded by a pastel candy coating. Approx. 30 pieces per ounce. 10 ounce bag.